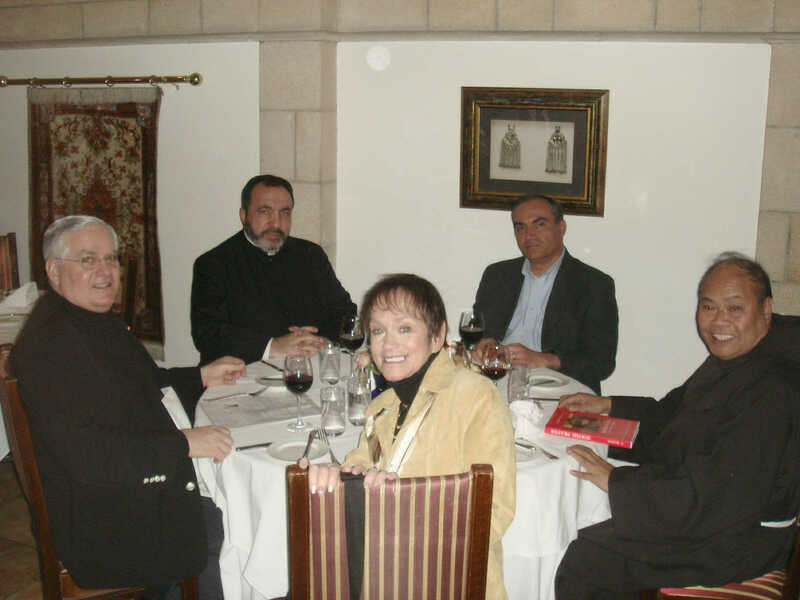 PTWF is proud of its warm relations with the Armenian Patriarchate in Jerusalem. PTWF Director for Germany, Scholar, and Historian Dr. Michael Hesemann, has been our primary researcher in the Vatican Secret Archives. During his study of the actions of the Holy See before, during and after the Second World War, Dr. Hesemann discovered over 2000 pages of documents disproving this denied history. 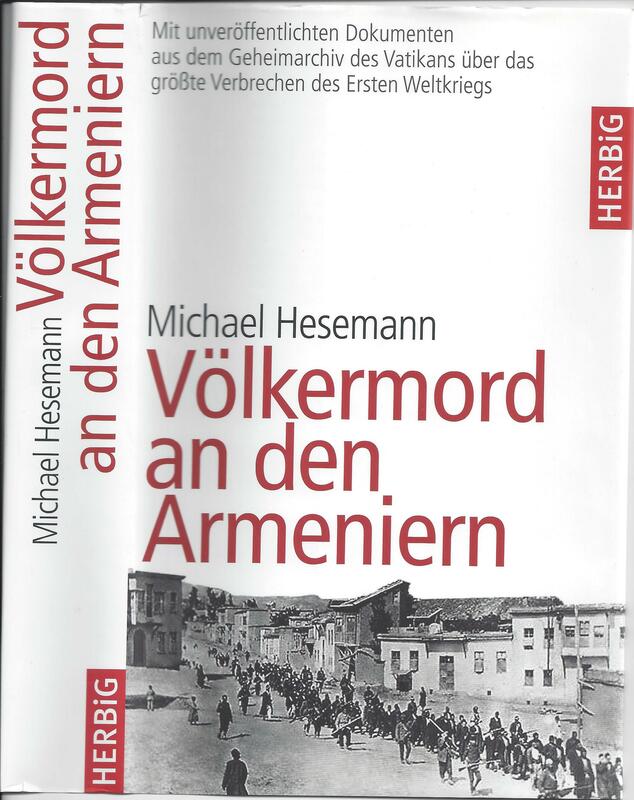 Dr. Hesemann wrote his book Volkemord an den Armenien,which was presented to His Holiness Pope Francis who then publicly acknowledged the "Genocide." The Pope Francis traveled to Armenia who again declared this accurate description of the murder of over 1 million Armenians at the beginning of the 20th Century. PTWF is helping to encourage more Armenian pilgrimages to come to the Holy Land. Tourism helps everyone in the region. 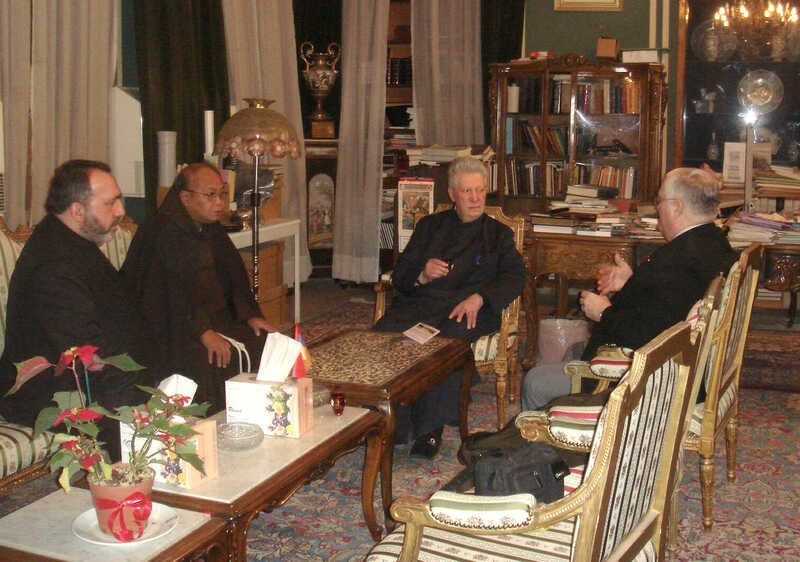 Below PTWF meets with His Beatitude Patriarch Manougian and with Archbishop Nourhan. We identified specific problems and gestures that PTWF can be instrumental in accomplishing. A dinner meeting with First Deputy Minister of Tourism Rafi Ben-Hur establishes personal relations with the Israeli ministry of Tourism and the Armenian Church. Dinner meeting with First deputy Minister of Tourism Rafi Ben-Hur, His Beatitude Nourhan Manougian, Gary and Meredith Krupp and Fr. Angelo Ison to plan to help to encourage and to bring 500,000 Armenian Pilgrims to the Holy Land and Israel.